Is your shake more like a dead fish than an iron fist? It could be a warning sign of a whole host of illnesses, including heart disease. There are many things your handshake tells the world about you. But according to several new studies, it can also reveal a lot about your health. 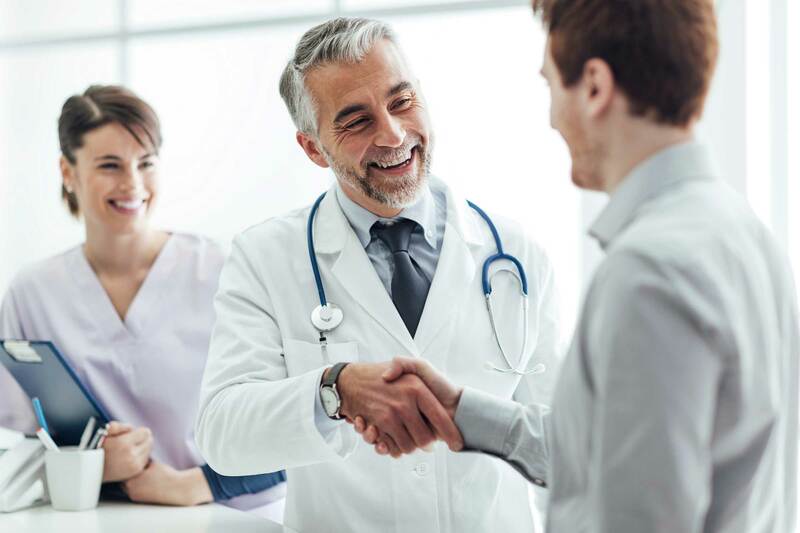 In a study published last month in the British Medical Journal, scientists at the University of Glasgow found that doctors can predict your overall health by evaluating your grip strength as you shake hands. Specifically, they found that weaker grip strength in the more than half a million people between the ages of 40 and 69 they evaluated and followed over the years was associated with a higher risk of heart and lung disease and cancer (including colorectal, lung, and breast) as well as a higher risk of death from such diseases. And the younger the person, the more a weak handshake was predictive of some illnesses. Your hand grip can also reveal how healthy your brain is, according to scientists from several highly regarded European institutions, writing in another recent study out of the United Kingdom. The findings, based on data involving 475,397 people and published in the Journal of Psychoses and Related Brain Disorders, showed that stronger handshakes predicted better brain functioning across the board, according to EurekaAlert. Testing included reaction speed, logical problem solving, and multiple different tests of memory, and the association between hand grip and brain function was consistent at all ages. “When taking multiple factors into account such as age, gender, body weight, and education, our study confirms that people who are stronger do indeed tend to have better functioning brains,” study co-author Joseph Firth, PhD, Research Fellow at NICM Health Research Institute, Western Sydney University and Honorary Research Fellow at The University of Manchester, told EurekaAlert. “There is a clear connection between muscular strength and brain health,” Dr. Firth concludes. Can we get healthier by developing a better handshake? Dr. Firth’s research group had already determined in the course of other studies that aerobic exercise can improve brain health, and now they will conduct further studies to determine if we can make our brains healthier by doing things to strengthen our muscles. That said, the results of a 2015 study by scientists out of the Population Health Research Institute of McMaster University and Hamilton Health Sciences, published in The Lancet, suggests that we can improve our chances of surviving chronic medical problems if we develop more muscle strength. In that study, the researchers measured grip strength (using a device called a “dynamometer”) in nearly 140,000 adults in 17 countries and followed their health for an average of four years. “Interestingly, grip strength was a better predictor of death or cardiovascular disease than blood pressure,” according to Howard LeWine, MD, writing for the Harvard Health Blog.